High Construction provided design-build services for Quality Bicycle Products’ new Q-East office and distribution center. The 120,000-square-foot environmentally friendly facility is situated on a 19-acre site in Lancaster, PA. The facility was designed to incorporate many LEED concepts and achieve ENERGY STAR certification. Design by Greenfield Architects, the building façade reflects the area’s rich agricultural heritage. Blending into the community from both an aesthetic and operational standpoint was important to QBP and the design-build team worked together to achieve that through the facility’s design. 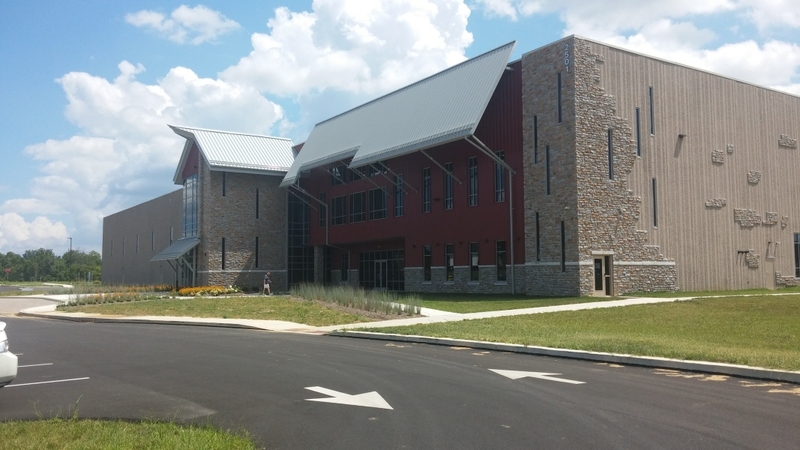 The front entrance features a mix of red vertical metal panels and veneer stone; metal sloped roof accents; and narrow, elongated windows resembling the vertical ventilation slits of a barn.